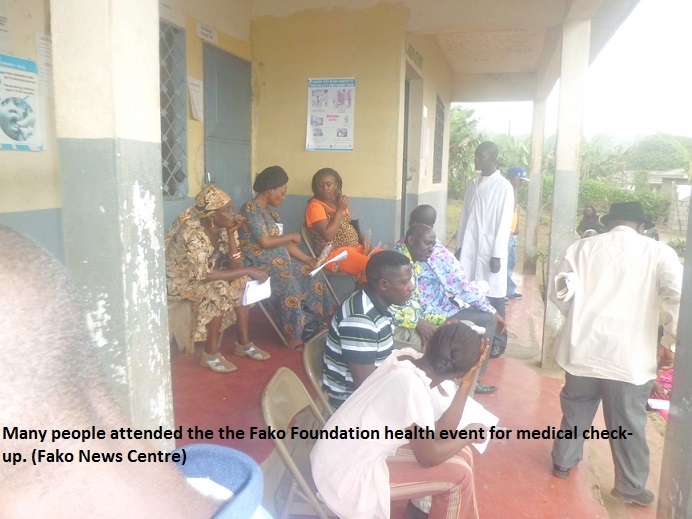 Initial activities for the launching of Fako Foundation have taken place in Buea. Members of the newly created US based foundation presented scholarship certificates to pupils and students they are sponsoring through Salem Baptist Church, Lower Wolifamba (Bolifamba) also called Mile 16. This took place on Sunday December 27, 2015, during a church service. 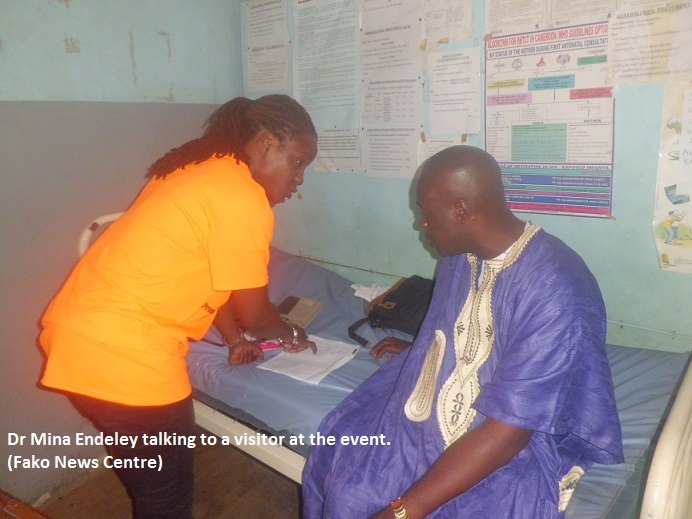 During the free-clinic, a team of medical doctors ( Mola Gerard Esunge Eko –UK, Iya Mina Endeley- UK, Mola Peter-Louis Ndifor- Limbe Cameroon) and a team of pharmacists (Iya Enany Njie née Litumbe- Buea Cameroon, Iya Dora Eko- UK and Iya Mojoko Matute née Endeley- USA) consulted and provided medical counselling to over 150 patients. 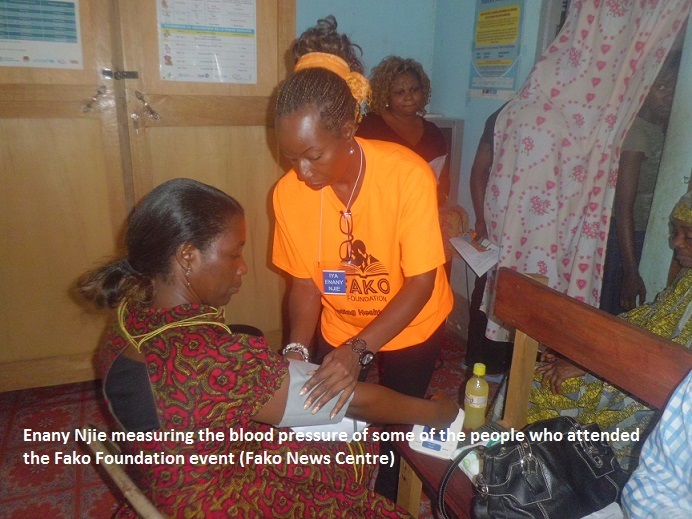 Some of the tests done during the clinic were blood pressure, blood sugar level as well as body mass ratio. Clothes, shoes and toys where shared to those who took part during the free-clinic. The South West Regional Delegate of Health, Dr. Victor Mbome, visited members of the foundation at work and expressed satisfaction with the turnout by the public. He also saluted the initiative of members explaining that many people suffer and die from illnesses that can be prevented if diagnosed early enough. The foundation also received support from Prof. Paul Musonge from South Africa who supported the scholarship programme in Lower Bolifamba and ground support from the Lambe’s Diabetic Foundation based in Buea, the Station Manager, CRTV-Buea Regional Station Mrs Nalova Mokake, Mola Njoh Litumbe, Mola Ndive Lisinge and a host of others. 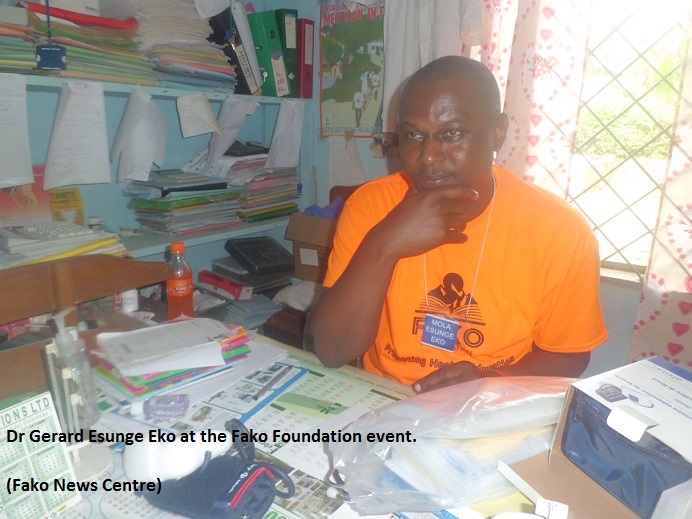 Talking to Fako News Centre, the President of the foundation, Martin Moluwa Matute, PhD, disclosed that their mission is working in partnership towards the realization of a brighter future in Fako Division. He stated that their primary goals are to promote educational excellence among Fako indigenous students in the form of scholarships, academic financial assistance, school infrastructure development, and basic Supplies. Their goal is also to promote and sustain key aspects that relate to the culture and tradition of the Fako people through competitions (individual and group), assistance with organisation, and initiating preservation efforts. According to Mola Moluwa Matute, preventive healthcare is also one of their goals. He explained that their team intends to increas productivity in Fakoland by actively engaging in the promotion and improvement of the health status of Fako indigenes especially those in rural areas. They have taken the approach of healthcare education that focuses on preventive measures and then also assist in basic medical supplies to achieve this goal. The President announced that the foundation has launched the 2015/2016 scholarship online and applicants are expected to download the forms from their website at http://fakofoundation.org , fill the application form and email it to fakofoundation@fakofoundation.org. To ease the application process, Mola Moluwa Matute explained that they intend to sign a memorandum of understanding with authorities of the University of Buea so that results of applicants from the university can be sent directly to Fako Foundation. 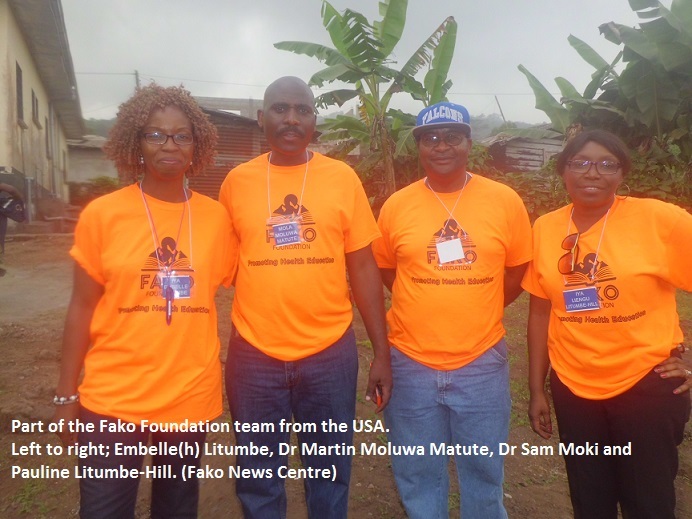 Present in Buea during the launching activities of the foundation were, the Board Chair, Samuel Belsham Moki, PhD, Treasurer/Board member, Pauline Liengu Litumbe, Web Technologist, Embelle Litumbe and President/Board member, Martin Moluwa Matute, PhD. Other current management team members of the foundation include, Samuel Moka Moliki, and the secretary, Augustine Evelle Kange, PhD.